From the true-blue Crocodile Hunter to the green and gold of the boxing kangaroo, Australia’s often been said to possess a ‘larrikin streak’. But when it comes to gin, there’s a lot of undue fuss and pomposity. And so, just like when the great man Dundee asked, ‘you call that a knife?’, Larrikin’s asking ‘you call that a gin?’, while they pull out four of the best gins ever distilled. They’re serious about gin, so you don’t have to be. 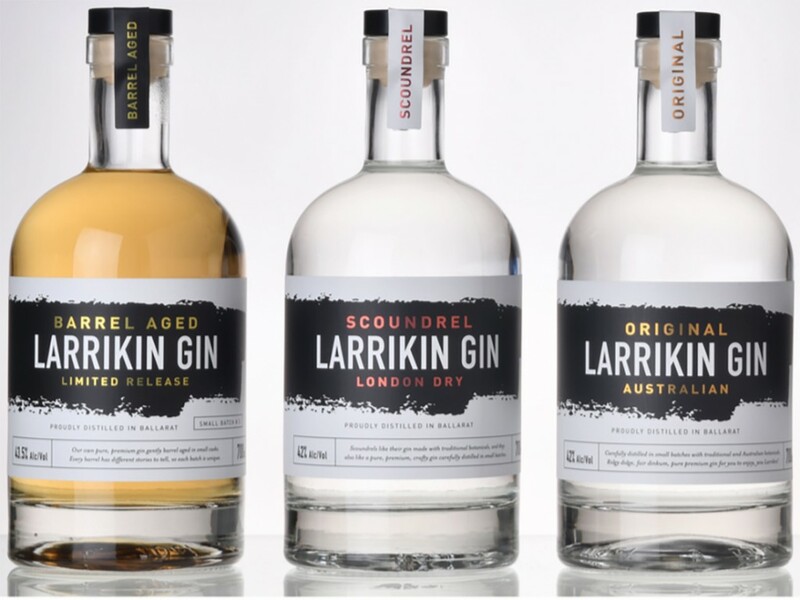 In four varieties of appreciation for their namesake, Larrikin Gin (née Kilderkin Distillery Gin) bottles the harmless prankster, a bit of cheek and a load of irreverence into high quality spirits that can be enjoyed by everyone, including those with a preference for drinking their spirits neat, as well as those who like to add their favourite mixers.